Planning a trip to Niagara Falls? Wagjag is offering an extra 10% off their Niagara Deals right now with the Wagjag promo code below! Enter the promo code NIAGARASPRING at chekcout. Offer ends May 2, 2016 at 1159pm ET. Valid towards offers at the link below only. 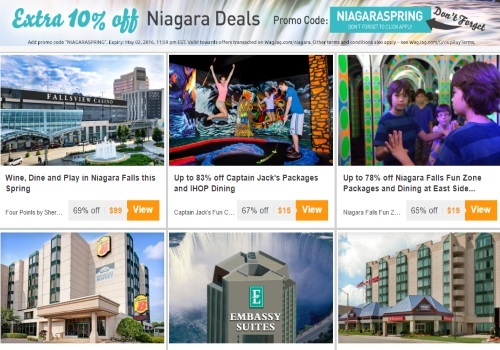 Click here to browse Niagara Deals on Wagjag.